Enjoy life from your luxury island home! Fisher Island, Star Island, Palm/Hibiscus Islands, Venetian and more! Beautiful ocean-front condos and great views available! World-class Miami homes and properties to fall in love with! Beautiful South Beach luxury properties await you! We are your South of Fifth specialists. We live & work here. Call Bedrock Properties to see them today. Rediscover Downtown and Brickell with us! Luxury Condos, great views and the best restaurants & shopping in Miami. Let us help you find your Miami dream home! You have to love where you live, so let us help you connect with your Miami dream home! Welcome. We are your resource for Miami luxury real estate. We have been your local experts for over 17 years providing outstanding service and results. Originally founded in 2001 by Andrew S. Cohen, Bedrock Properties is available to assist you with finding your dream home, selling your existing home or finding that investment or vacation property. Please explore the site, as you will be able to search for properties throughout Miami and in specific neighborhoods. Our Miami lifestyle section includes things related to the Miami lifestyle and luxury real estate. 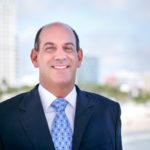 We look forward to hearing from you and being of service for all of your Miami real estate needs. "Andrew was amazing the best broker we have ever dealt with. He handled the sale like he was selling his own property. He went to every showing even if the showing was another broker from a different company. He truly went above & beyond for us." We help you find your dream home in South Florida! We are experts in the luxury home field, let us show you the best our community has to offer. Let us help your family today! Visit Bedrock Properties on Trulia!